We are excited to introduce our new team member, Jamie Murphy. Jamie will be asssiting with customer service and marketing, and will also work on several projects to help us better serve our clients. 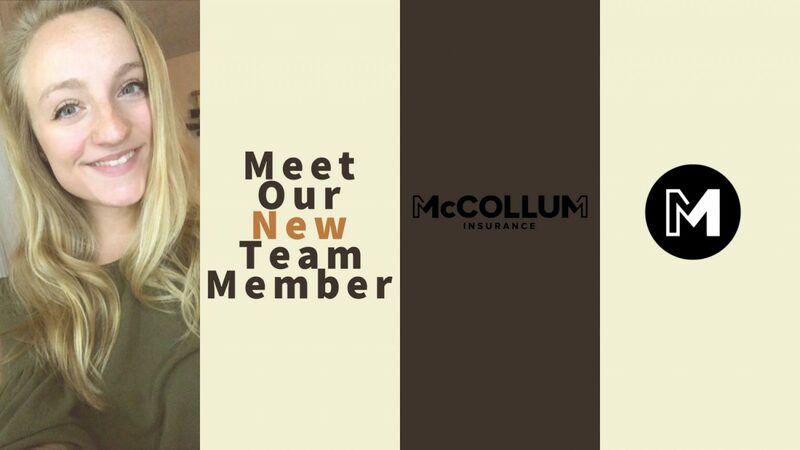 Why did you choose to accept a position at McCollum Insurance? I wanted to learn more about insurance and how it all works. I also loved the idea of working for an awesome local business in the area. I really enjoy helping people and talking to people. I like being able to make a difference in someone’s life. I really love the beach, any beach. Puerto Vallarta Mexico was by far my favorite. Any fun fact about yourself? I am a crazy dog lady. I work closely with a rescue, Noah’s Ark Rescue Sanctuary and Project, NARPS for short. I foster dogs that need to be saved from the shelter, and they stay with me until they are adopted. During that time I help rehabilitate them. Teaching them good manners, potty training, and nurse them back to health if they are sick. What is your favorite local restuarant? We opened our Manayunk Location in 2002, and our Newtown Square Location in 2016. How are you different from other fitness studios? We like to say when you’re with us, you’re joining a community and not a gym. We really have a unique group of members that make us up. We know something unique about everyone who joins our studio and really truly care about every person’s likes, dislikes and what they need to get through a workout with us. 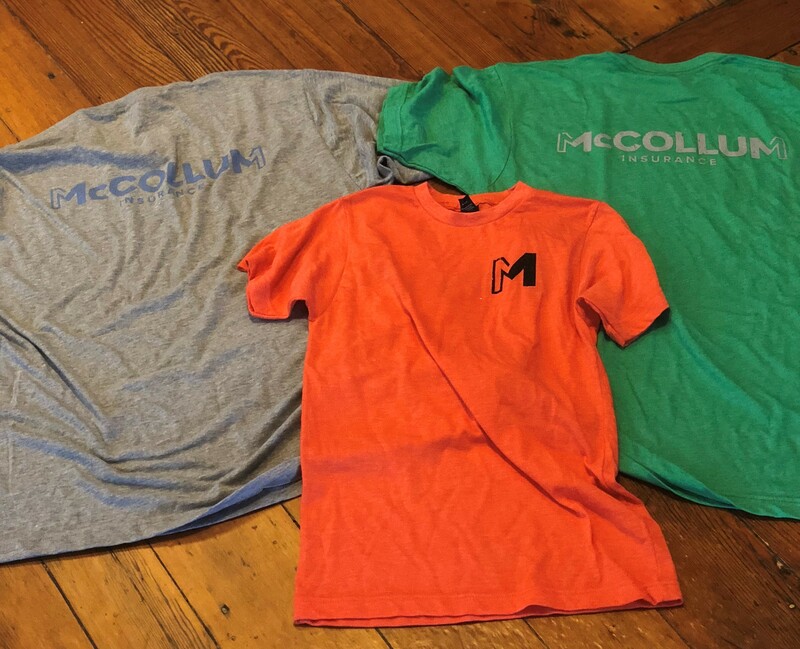 T-Shirt requests are limited to our contest and newsletter rules. THANK YOU to our clients, family, friends and referral partners. We appreciate your referrals throughout this year. Because of you, our Agency continues to grow, and we are able to continue to support and sponsor local events in our community! Congrats to following clients, friends, and referral partners for winning one of our referral drawings this year. Jayson Schmidt, from Gilbertsville -winner of $100 Gift Card. We also donated $100 to Jayson’s charity, Manna. Kara Markley, from Philadelphia, winner of quarterly drawing. Kara won a 43″ Samsung Smart TV. Michelle Green, from Bridgeport. We donated $100 to Michelle’s favorite charity, Morris Animal Refuge. Eric Shuyer, from Manayunk. Eric won our quarterly drawing, a 43″ Samsung Smart TV. John Choi, from Philadelphia – winner of $100 Gift Card. We also donated $100 to John’s charity, Henry C. Lea Elementary. John Bonnet, from West Chester. We also donated $100 to John’s charity, Salvation Army of Philadelphia. Dennis McGuinn, from Philadelphia– winner of $100 Gift Card. We also donated $100 to his favorite charity, Friends of Gorgas Park. Tracey Fisher, from Philadelphia. We were happy to donate $100 to Tracey’s charity, Ronald McDonald House. 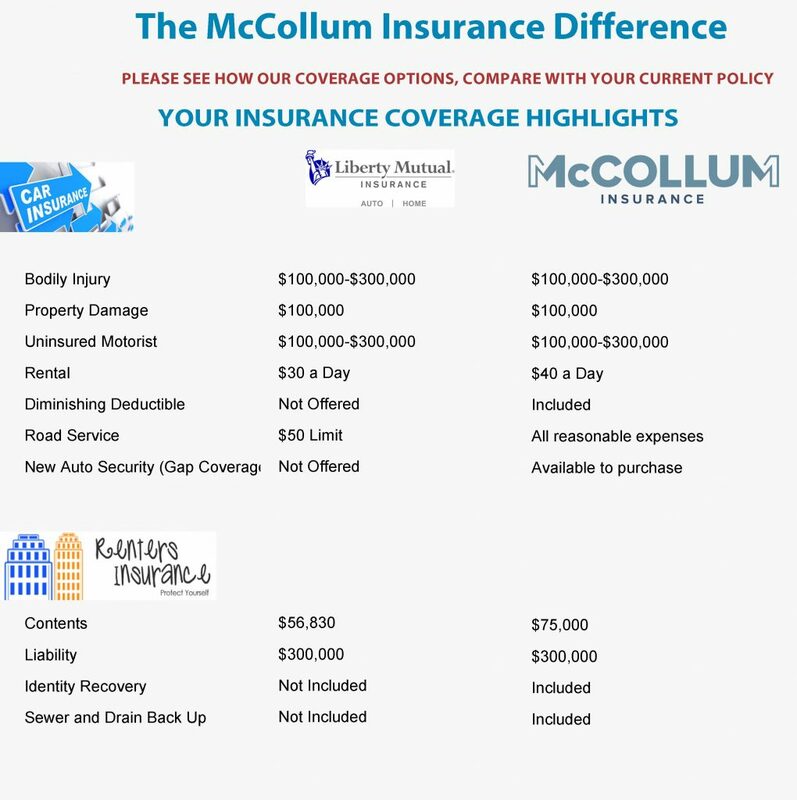 McCollum Insurance works with multiple Insurance Companies to find our clients the best coverage and pricing. Below are a few of our partnering Insurance Companies. 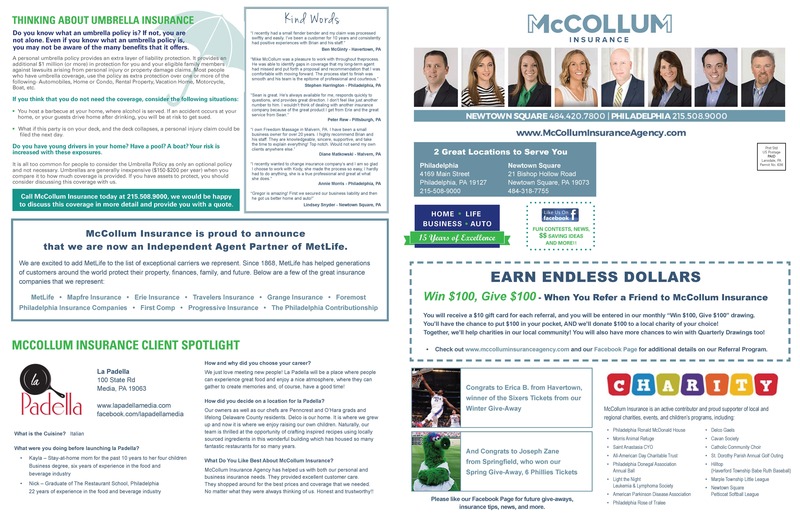 If you know someone that is looking for the best insurance coverage and pricing, please consider referring them to McCollum Insurance. Does My Auto Provide Coverage For Rental Cars? Are you planning on renting a car soon for a trip or vacation? Are you wondering if you need to purchase additional insurance for this rental vehicle? Are you wondering what will happen if you have an accident or claim with a rented vehicle? When it’s time to rent a vehicle, you will be offered an option to purchase insurance coverage from the rental car company. Do I need to purchase this coverage? This is a decision that you need to make, and a friendly team member at McCollum Insurance would be happy to offer professional and friendly advice. Contact us at our Newtown Square location (484.420.7800) or Philadelphia location (215.508.9000) for more information. Does your personal auto policy extend coverage to a rented vehicle? Where are you renting a vehicle. Are you renting in the United States or in another country? Does your personal auto policy have physical damage coverage? What is the cost to purchase coverage from the Rental Car Company? Do I already have coverage for rented vehicles? Typically, your personal auto insurance will extend coverage for Liability Claims. If you also have Physical Damage Coverage (Collision and Comprehensive Coverage) on your auto policy, your coverage should also extend for damage to the rental car. For example, Erie Insurance’s Auto Coverage is designed to suitably protect you and your family for incidental use of a car that’s not your own, such as a short-term rental of less than 45 days. The coverage extends to cars in the U.S. or Canada. Please remember, we recommend contacting your Agent to confirm coverage before renting a car. Some rental companies will charge for loss-of-use. This charge is meant to cover the loss of revenue, for not being able to rent the vehicle, while it’s in the shop being repaired after you have damaged it. Loss-of-use is not typically covered by a personal auto policy, so make sure you ask the rental car company if they charge for loss-of-use. Some rental companies will charge for diminished value and other administrative fees. This means that should you damage a rental car, the rental company may insist that the repaired vehicle is less valuable because it was wrecked. They’ll then charge you diminished value fees as well as other administrative fees, such as a fee to open claim, which your personal auto policy does not charge. To find out if this applies to you, make sure to carefully read over the rental agreement obligations. What Type Of Home Insurance Should I Purchase For My Home in Philadelphia? Maybe you have already made your biggest purchase, or you are about to do so. Having the right home insurance in place is essential to protecting your biggest asset. 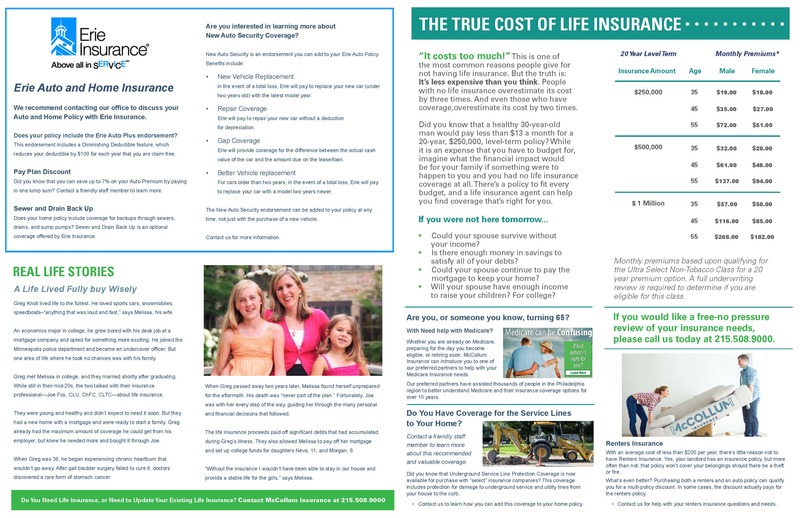 Did you know that most insurance companies cannot offer the HO 5 Policy Form, that McCollum Insurance offers to clients. There are many forms of Home Insurance offered in the Philadelphia area, and it is best to speak to a local Independent Agency, to make sure that you have the best available coverage and pricing available to you. Has your home been renovated? Are you packaging your auto and home insurance with the same company? Do you have a burglar alarm or sprinklers? Has your heating and electric been updated? Answers to the questions above, can affect the coverage and pricing that is offered from one insurance company to another. 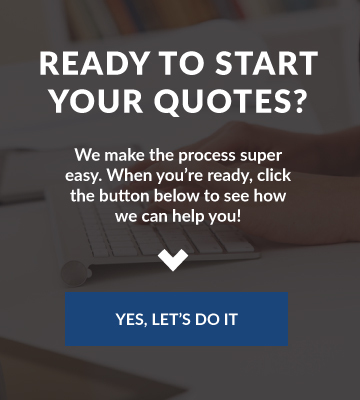 Whether you’re a home or condo owner, a renter or investment property owner, McCollum Insurance will simplify the insurance purchase process and provide insurance coverage and options that fit your individual needs. The Best Coverage. The Best Available Price. Local, Professional People to Serve you. Do you understand the coverage differences in a HO 3 Policy versus HO 5? Contact McCollum Insurance to learn more what type of Home Insurance you need and for access to the best Home Insurance Policies in Philadelphia. When you have guaranteed replacement cost, you can rest easy knowing that you could rebuild your home after a major loss without worrying about depreciation, policy limits or insurance construction costs once you’ve repaired or replaced the damaged property. Did you know, that as a homeowner in Philadelphia, underground service and utility lines on your property are usually your responsibility. 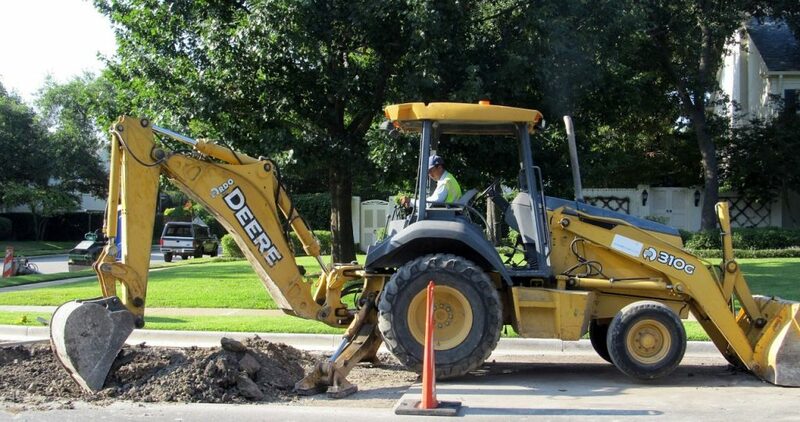 Did you know that most insurance companies do not offer coverage for damage to underground service lines? McCollum Insurance has access to insurance companies that provide this coverage. You need enough insurance in place to make sure you can rebuild your home, in the event of a total loss. So don’t risk it by choosing a lower limit in an effort to save a few dollars. Insurance can be complicated, and McCollum Insurance will simplify things and provide the best advice for your local needs. Our agents work and live in your community, and understand your needs. If you have a collection of jewelry, fine art, antiques or collectibles you will want to make sure that your Home Insurance provides coverage for these items. Did you know, that water and sewage back-ups, are a common occurrence in Philadelphia. Did you know that every Home Insurance Policy does not automatically provide this coverage? 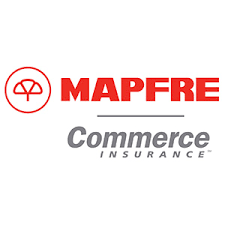 Would you like to work with a business that offers home insurance coverage from one company or would you rather work with a business that has access to home insurance coverage from multiple insurance companies? 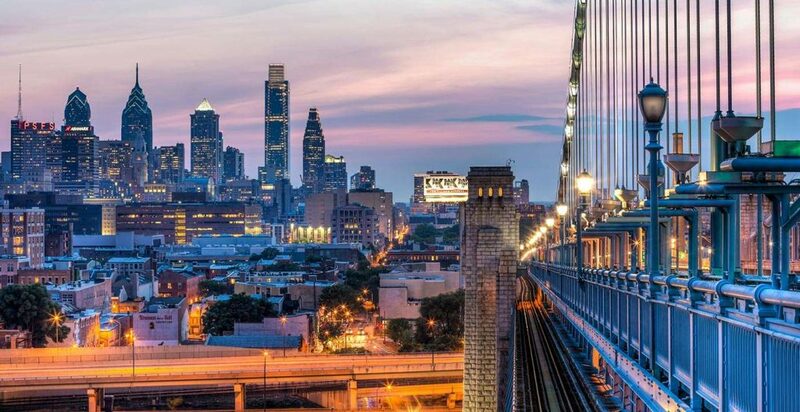 When you contact McCollum Insurance, for help with your Home Insurance in Philadelphia, we will take the time to understand your needs and goals, and we can shop with multiple insurance companies to provide the best coverage options and solutions for you. 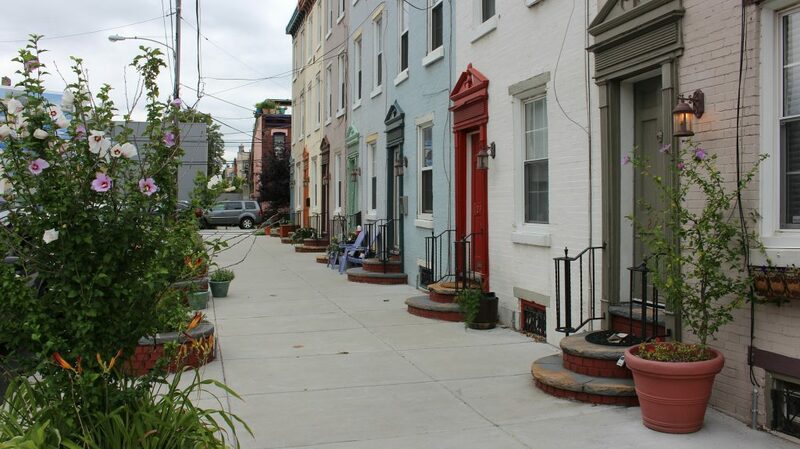 Every home in Philadelphia is unique. Contact us today, to find out how to get the best coverage, price and value. Whether you are buying a row home, condo, single home, or townhouse, McCollum Insurance is ready to help. See what happened last week, when Denise from Broomall, contacted our office in Newtown Square for help with auto and home insurance. We were able to improve Denise’s Auto and Home Insurance Coverage, while also proving savings of over $3700 per year. Thank you again for choosing the Fitzgerald Insurance Agency for your insurance needs. I wanted you to hear this from me personally. In 2007, I founded the Fitzgerald Insurance Agency, with the desire to provide my clients with the best available personal and business insurance. My goal in 2007, was to carry on this business for decades, and to one day pass the torch to a trusted and respected family who would continue the Fitzgerald Agency. The time has come for the Fitzgerald family to pass the torch. I did not want to sell out to a large bank or corporate agency. 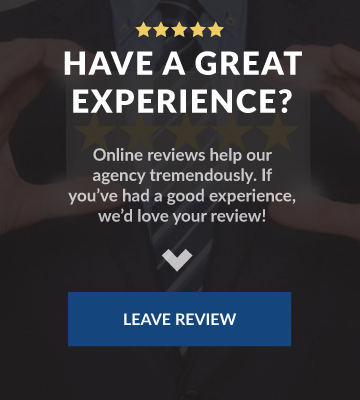 I wanted to keep the agency local, friendly, and within a family. With that being said, last year I reached out to my good friend of many years, Brian McCollum. Brian started his own insurance agency, McCollum Insurance Agency, in 2002. He and his team share my same beliefs; that offering outstanding insurance coverage, customer service, and building relationships that last, are some of the most important needs of our clients. To ensure that you are well taken care of for many years to come, we have merged our two agencies as of February 1, 2018. You might be wondering, what does this mean to you? Not much, really. Everything will essentially remain the same: same insurance company, same policy numbers, same office, same phone number, and same great service. Our office is staying right where it is, and I am planning to help Brian and his team throughout this transition. I trust that he and his staff will continue to serve you just as the Fitzgerald family has. We are here for you when you need us. Thank you for your business, your support, and your friendship.